A walk from The Bellls Inn, Almeley with Ludlow Walkers. A walk from The Bells Inn, Almeley - Grid Ref: 333 516- with good views to the Black Mountains and the Brecon Beacons. Walk Leader: Roy Griffin (01584 874011). If you require general information about the group contact Susan McCormack (01584 877315) or Roy Griffin (01584 874011). For details of the walk contact the leader. 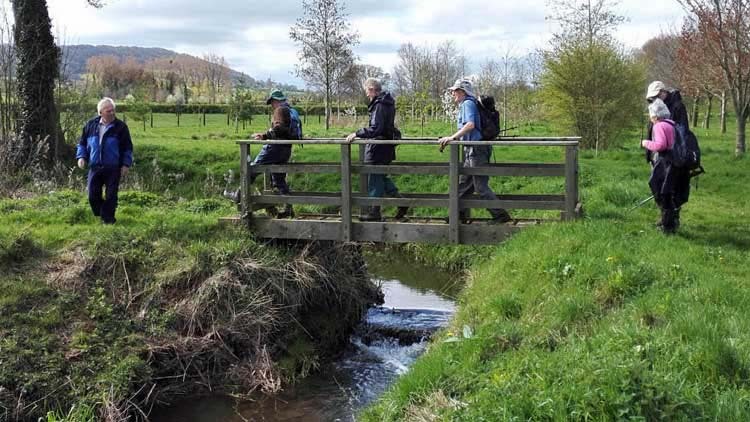 The walk, to which anyone is welcome, takes between 21/2 and 3 hours ending with an optional pub lunch. The leader has checked the route,but you come at your own risk.